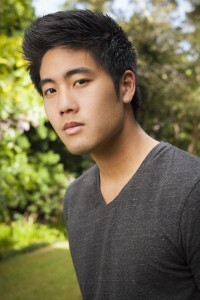 Ryan Higa, now the #45 most subscribed creator on YouTube, has come a long way since he produced his first videos, with no editing software or tripod, at age 14 at home in Hawaii. Today, he’s best known for his comedic video vlogs and short films, which average approximately 11.0 million views per video, making him one of the most successful partners on the YouTube platform. His “Nice Guys” video has more than 76 million views. With more than 21.1 million subscribers and 3.8 BILLION! video views on his main channel and 5 million subscribers and 745.5 million video views on his second channel , Ryan continues to concentrate on his passion: making people laugh. In 2015, Ryan launched the Ryan Higa Foundation Inc, a 501 (c) (3) organization , to recognize an individual who does a charitable act towards needy and underpriveleged person(s) and grants them their “Best Day Ever”. His book “how to write good” was released May 30, 2017, followed by a sold out 5 city US tour and made the Indie Bestseller Lists for week ending June 7, 2017. Bing Chen,YouTube Global Creator Development & Management Lead at Google. If you’re an advertiser, where would you rather put your money? If Cozart or, say, Ryan Higa can deliver a bigger weekly audience AND have their audiences email addresses and more, I’d put my ad money with them…[ ]…Ryan Higa has more than 7-Million SUBSCRIBERS and more than 1,300,000,000 views. Yep, that’s 1.3 BILLION!! Each new video he produces every week gets an average of 4-million eyeballs in its first week. Some end up with more than 8-million up to 20-million. Ever see “Bromance”? It’s quickly approaching 20-million views.